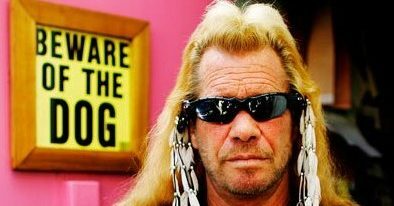 Dog the Bounty Hunter is a reality television show that runs on the A&E network. The popular TV show chronicles the activities and operations of Duane “Dog” Chapman’s in his risky and daring job as a bounty hunter, at Da Kine Bail Bonds in Honolulu, Hawaii. In the television show, Dog the Bounty Hunter is joined by his wife and business partner, Beth Smith Chapman, his sons Leland and Duane Lee, and Tim Chapman. 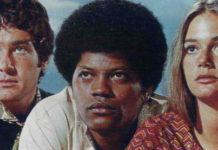 Other support characters join the show for various episodes throughout the various seasons, such as Sonny, Wesley, Moon, Richie, and Kaleo. The show became popular due to the real-life situations, imminent danger, intense action and charisma of the show’s characters and the people they pursue. The show gave insight into the life of a bounty hunter and highlighted the risks they take to apprehend suspects. During the show’s episodes, the bounty hunters work as a team, each with specialized skills in tracking down fugitives. The team gathers intelligence on criminals who are on the run and strategize on ways to bring them back to justice. The work with local law enforcement to obtain the details on people who have skipped bailed and who are on the run from law enforcement. They speak with family members and known associates to ascertain where the person may be hiding, what their patterns are and how they may be contacted. Usually in dramatic fashion, and with cameras rolling, the team stages a “takedown” to apprehend the criminal and bring them into custody. There is often a great amount of risk in doing so, as the person is often on drugs or in possession of firearms or other weapons. And they never want to go willingly back to jail. Some of the take downs can be quite exhilarating and dangerous for the crew. The process gives insight into the world of fugitive trackers and the risks they face every day to make people face the long arm of the law. In addition to episodes filmed in Hawaii, season episodes have been filmed in Dog Chapman’s home states of Colorado and San Francisco. The following are available on Amazon.com. The Best of Season 1 on DVD – Includes all 17 episodes from the first season, cast biographies and promos. The Best of Season 2 on DVD – Includes seven episodes from the second season, cast biographies and a hunting quiz. Season 3 – Includes all 27 episodes from the third season. The Best of Season 4 on DVD – Includes all 20 episodes from the fourth season. 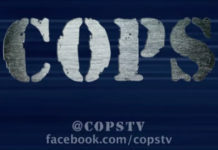 Production was halted during this season due to Chapman using a racial slur multiple times during a discussion about the word. The future of the show was uncertain at this point due to the social outcry against Chapman. Season 5 – Includes all 38 episodes from the fifth season. 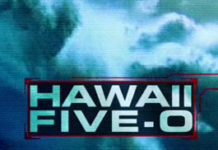 Season 6 – Includes all 24 episodes from the sixth season. Chapman was allegedly shot while attempting to apprehending a criminal. 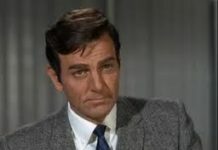 Season 7 – Includes all 21 episodes from the seventh season. Season 8 – Includes all 23 episodes eight season. Rock legend Ozzy Osbourne sings the popular theme song titled, “Dog the Bounty Hunter”. The song is also included on Ozzy’s Prince of Darkness box set. For more information, visit the show’s Wikipedia page at https://en.wikipedia.org/wiki/Dog_the_Bounty_Hunter. Also, check out other Police Crime Dramas on DVD.